Every Sunday as we get ready to go to church, I can always find Luke in the front room building something. 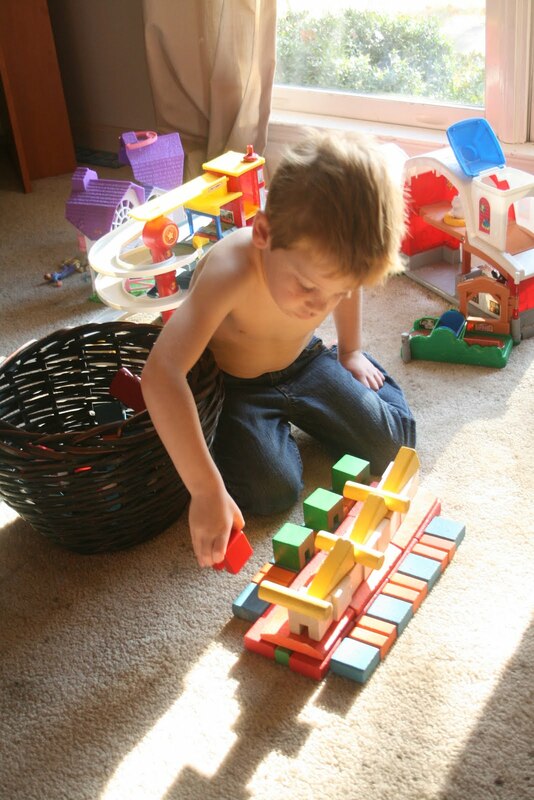 Often times, it’s a choo-choo line of his matchbox cars or a tower made from markers. 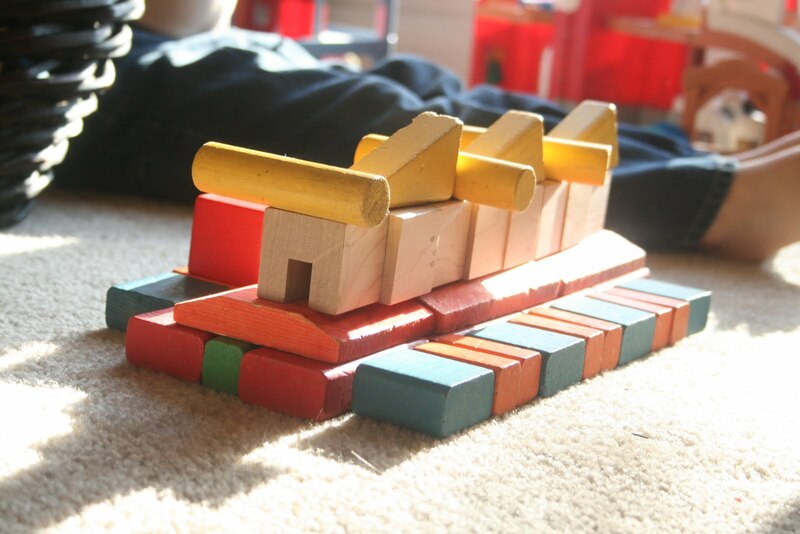 This past Sunday morning, I walked into the room and found him building some sort of barge ship from his blocks. 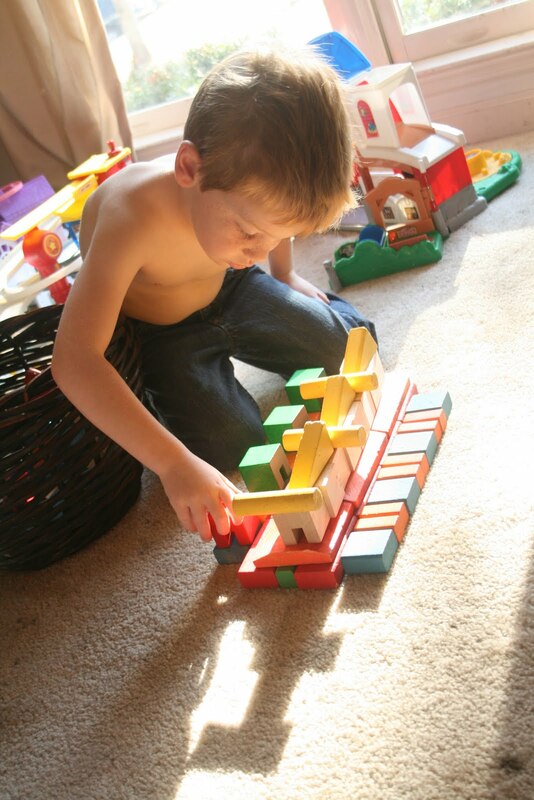 Just after snapping these pictures, he demolished his structure and began building another. I think he might have a future in Vegas demolition.